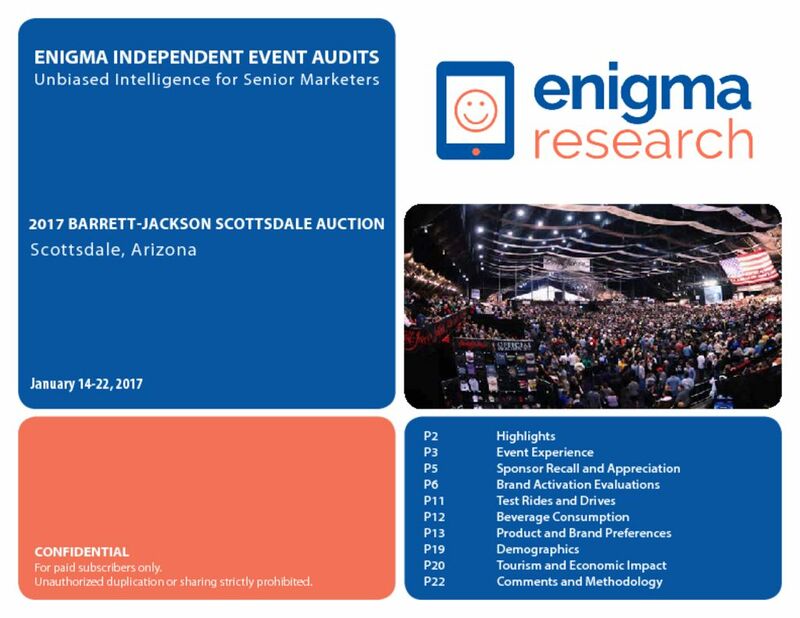 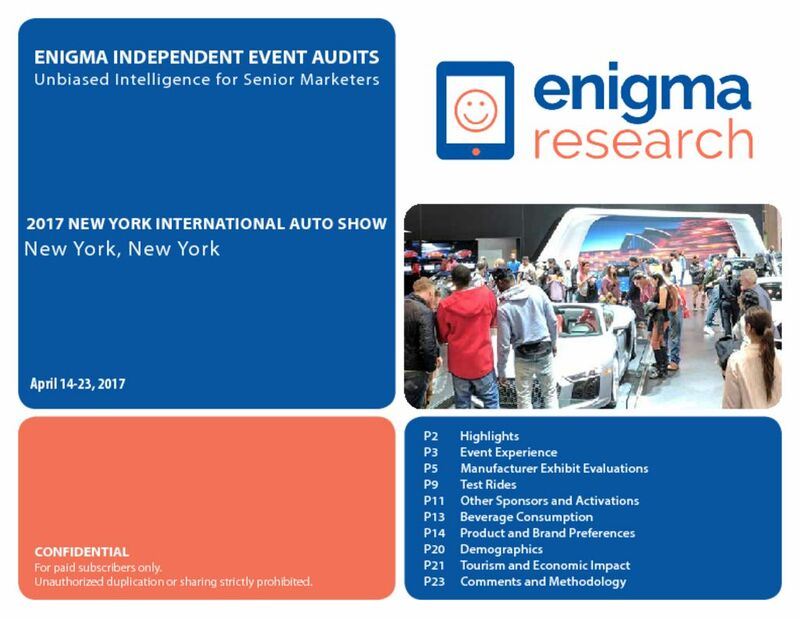 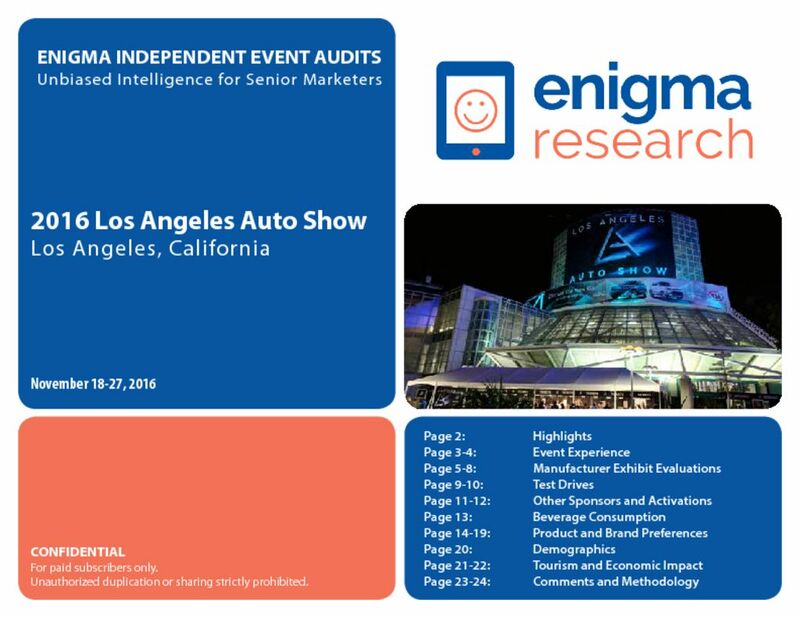 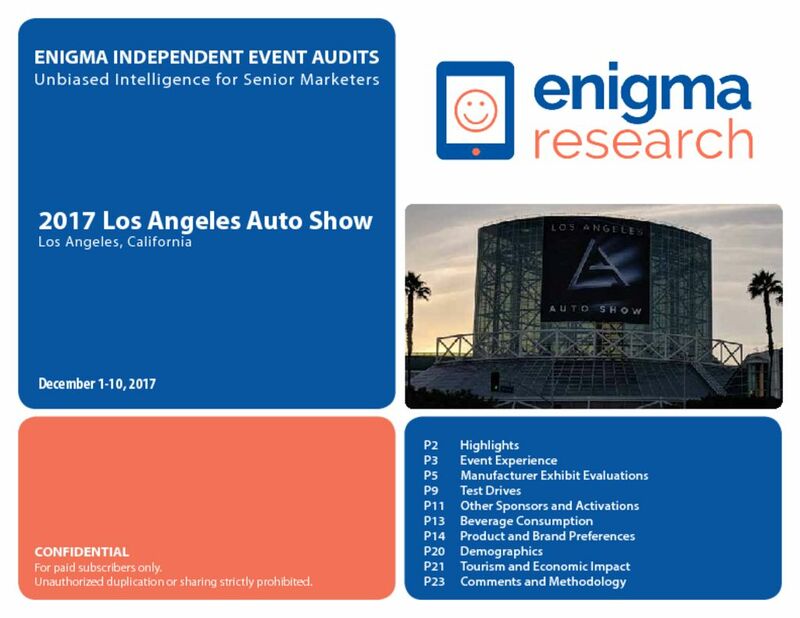 Enigma Independent Event Audits provide senior executives with robust event metrics to help evaluate programs, monitor competitor activity, and track trends. 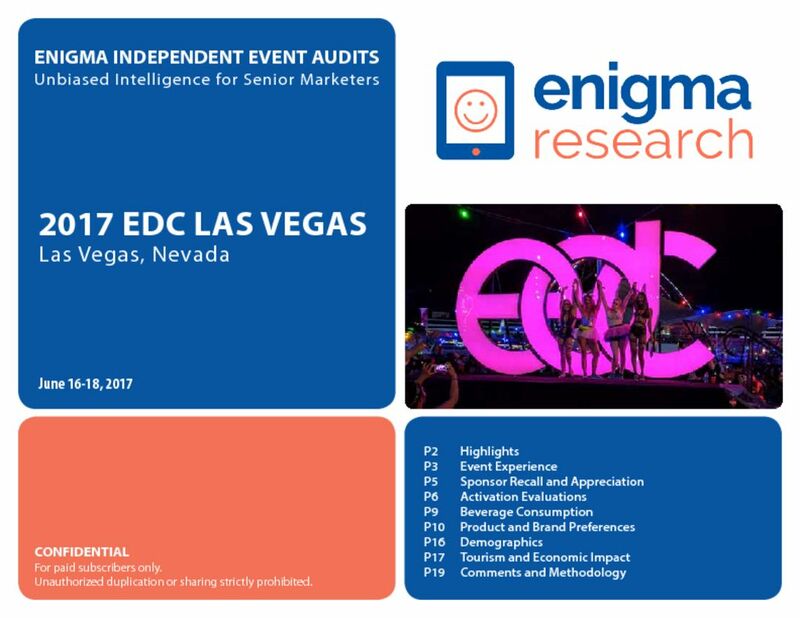 Event promoters and agencies are never involved in the data collection. 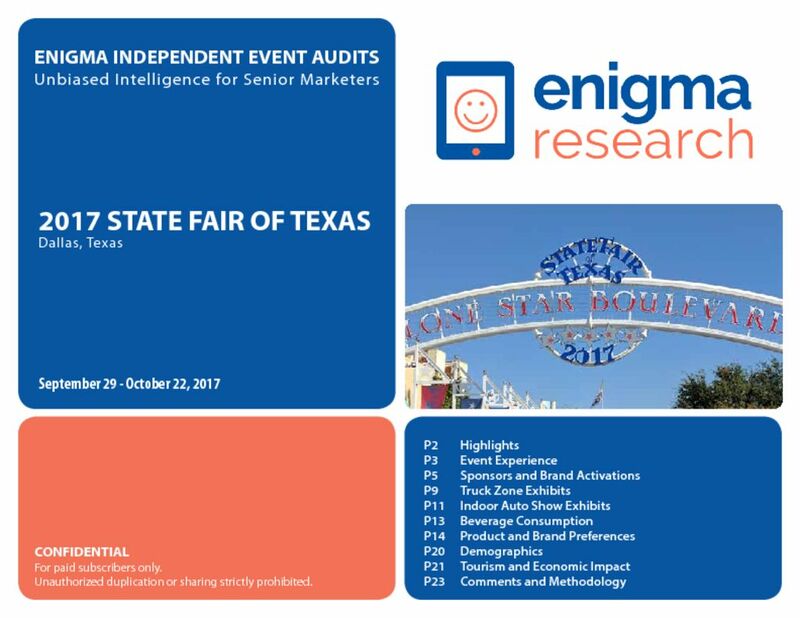 Full and preview versions of reports are published on this page. 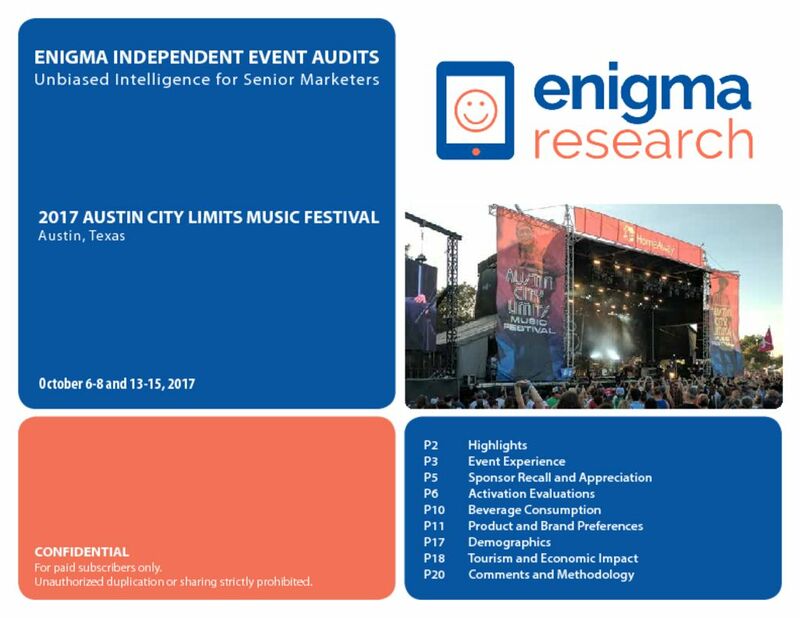 Understand which experiential activations generate the most traffic, enhance attendees experiences, and increase brand loyalty. 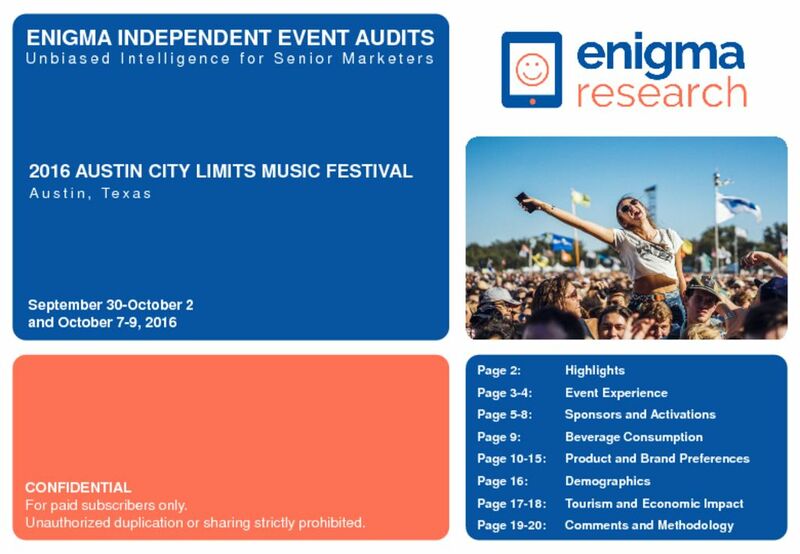 Compare brand activations with direct competitors as well as brands in other sectors. 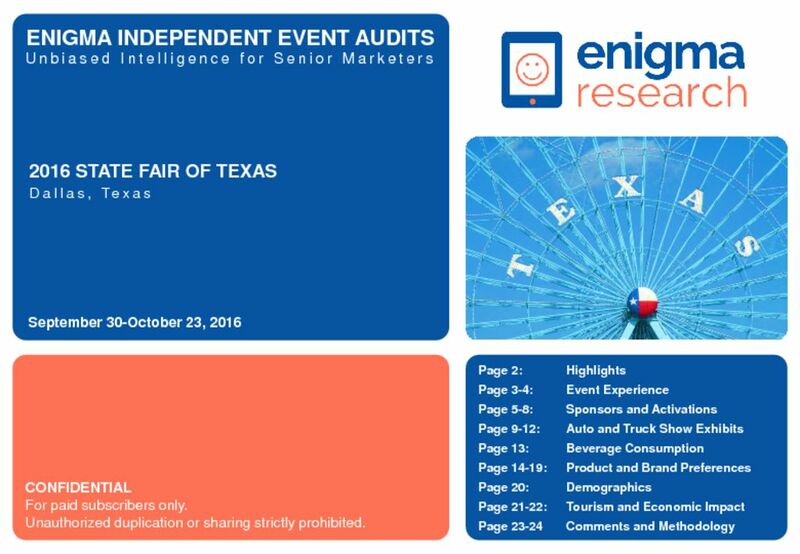 Learn from the nation's best events and activations. 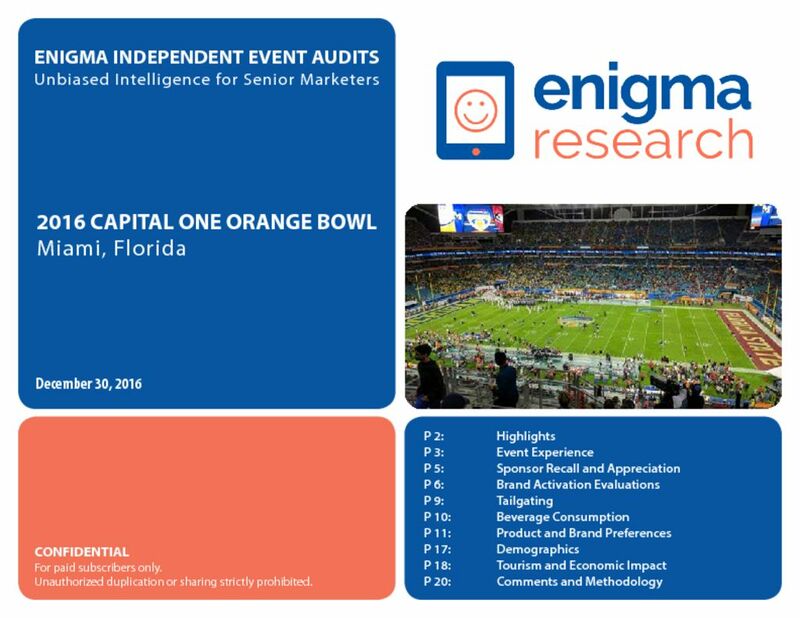 Use case studies to convince brands to sponsor events or enhance current activations. 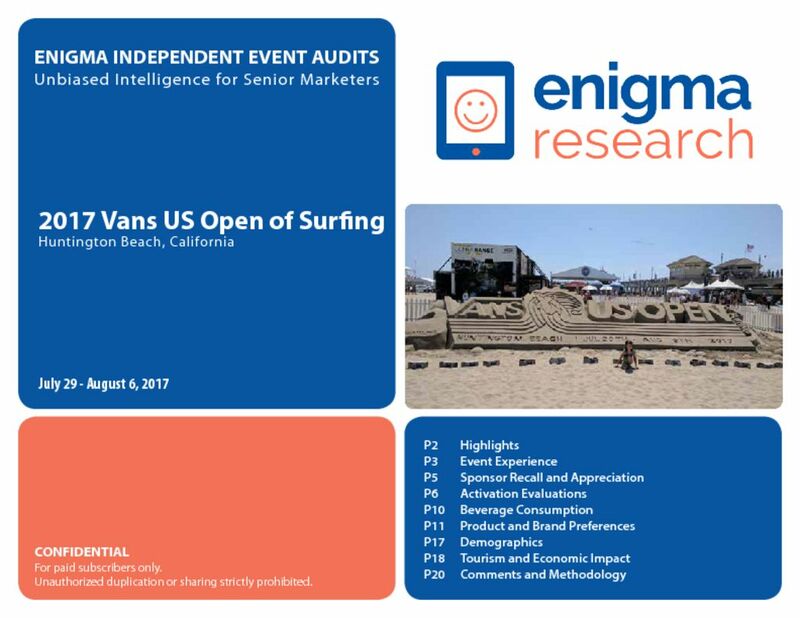 Use independent research in RFPs and proposals to demonstrate the effectiveness of various activation types. 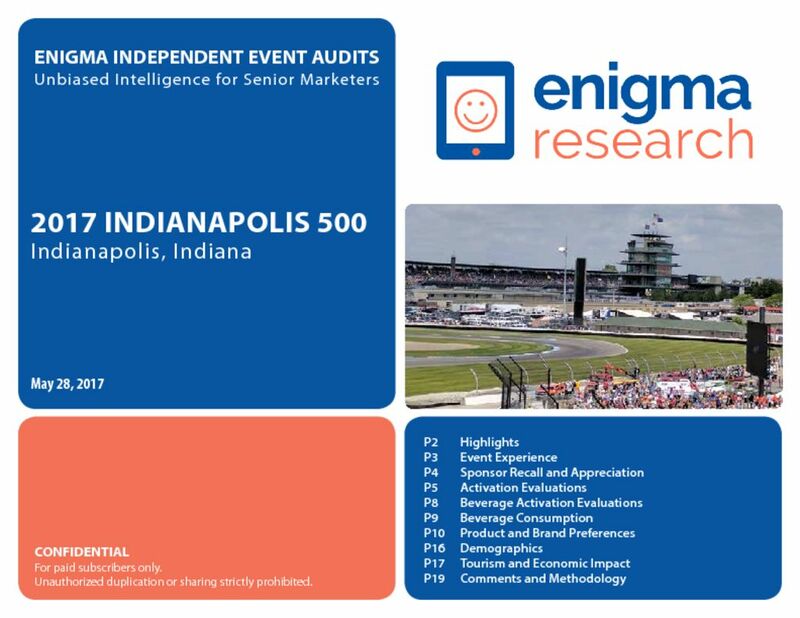 Provide agencies a competitive edge by backing creative ideas with hard data. 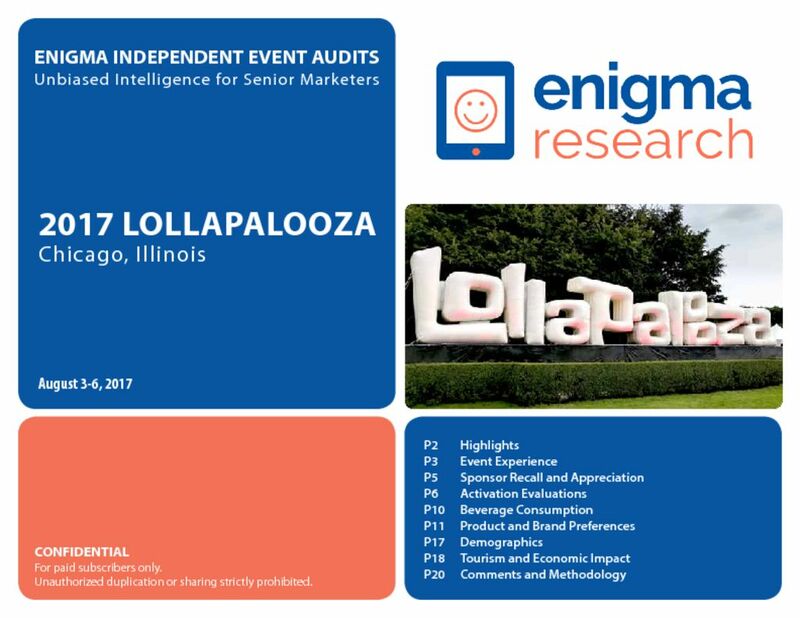 Contact one of Enigma’s consultants for pricing information or a list of upcoming events.